Even with rain in the forecast, there are plenty of ways to celebrate Earth Day as a family. In fact, why not honor the entire week with Earth Day activities, or some focused time on the weekend to celebrate our beautiful planet. Here are some of our favorite ideas for connecting and creating in honor of Mother Earth. Clean Up - Show your kids good environmental stewardship by taking time out to work together on beautifying your corner of the earth. After a few missed visits from the garbage truck due to inclement weather, the stream along our property is looking pretty sad. Now that the water levels are safe again, we're going to attack the garbage that's found its way into the ecosystem. I'm guessing it will also be a great way to get up close and personal with the new life that's starting there. Plant Something - We're not all ambitious or available enough to plant trees, but why not start a herb garden indoors? All you need is a sunny room, some food-safe soil, seeds and paper egg cartons. Seedlings need a bit of water each day. Be sure to slit the bottoms, so the seedlings can be transplanted either into larger pots indoors, or directly into the soil outside after the frost is over. Take a Walk - What better way to appreciate the earth than by enjoying the beauty of the natural settings around you? There are so many wonderful things bursting forth at this time of year. You can even print out our free nature scavenger hunt and coloring page designed by our ten-year-old Hannah here. Green Your Home - Take a tour through your busy household with your kids and discuss the ways that your family is taking care of the earth, and the ways that you could take even better care of the planet. Make a poster as a family to remind everyone of your new commitments to greening your home. Enjoy 'Lights Off' - Enjoy dinners and bedtime stories by candlelight and take some 'lights off' time as a family for a month. I've noticed the ambience of candles on the dinner table is an automatic cue for the kids to bring their energy down. Except for our toddler, of course. Nothing can stop that one. 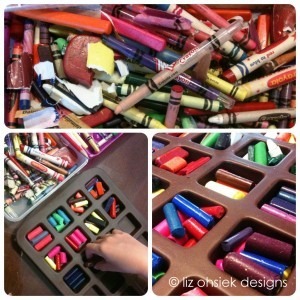 Organize a Swap - Create a date for your kids and their friends to have a swap meet. Previously loved toys, games and books find new life, and it's a great way for the little ones to see the value in re-using and re-purposing items. 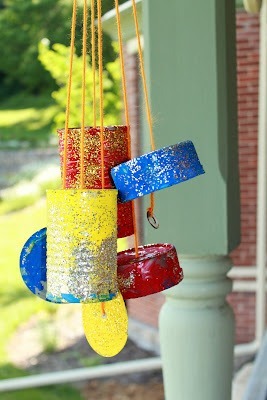 Upcycle Crafts - Maybe I'm a snob, but I think kids' crafts can be beautiful and functional. Rather than try to make magic with macaroni, why not tackle some of these beautiful upcycled crafts? Click the photos to get to the instructions. Happy Earth Week everyone! How will you celebrate together? Our northern weather has finally taken a turn, and I think it’s safe to say that spring has sprung. This time of the year is filled with promise and possibility and everything feels so fresh and new. I love cleaning, purging, re-focusing both inward and out. 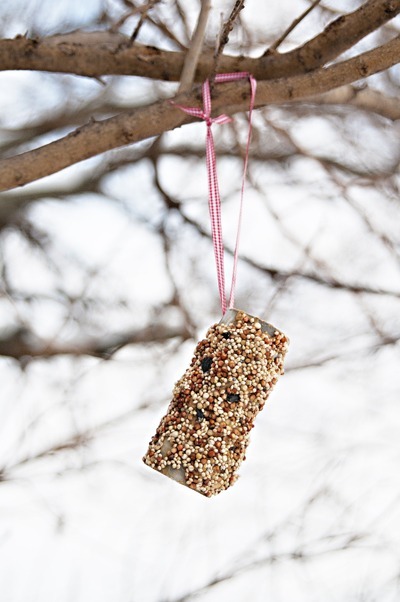 With a commitment to simplicity and greener living, here are some great tools to help you green your spring rituals. I’m an avid reader of Mind Body Green and I loved this post filled with handy and easy ways to do a little spring detox. All of these suggestions are simple and totally easy to commit to. With the smell of rain and earthworms greeting me each time I step out of the door, I can’t help but yearn for the warm weather to hurry along so I can start planting! Here are no less than 82 useful sustainable gardening tips from Mother Earth News. Can’t wait to get outdoors? Getting itchy to sink your teeth into a project? Check out some of these awesome DIYs featuring reclaimed materials, and don’t forget to treat your wood with Eco-Safe Wood treatment! I’ve been pining away for one of these (see what I did there?) and I think it would be gorgeous with our Weathered Wood Finish! Just promise not to take it over for your “mommy needs alone time” hut! There’s no end to the many great, green ways to celebrate the return of warmth! We’d love to hear from you. Share your own crafty, mindful, green ways to celebrate Spring in the comments below and we'll choose one lucky winner to sample the Tall Earth wood treatment product of your choice! We’ve had a brutal winter, and I really try not to complain about the weather but the record-breaking freezing temperatures were even starting to get to me. I suppose that’s why the thaw has made my step so…well, springy. Yesterday was heavy sweater and hat weather, and after a long commute home (working on Sunday, yikes!) I bundled up the kidlets who were all too happy for another opportunity to abandon chores and enjoy their rip sticks. We parents took the opportunity to enjoy a leisurely stroll down our secluded road, breathing in the fresh country air and I was amazed at how this brief, simple departure from our typical Sunday routine filled me with wonder and hope. If you’ve had the winter blues, treat yourself to a walk outside, in whatever green space you can find. Try to take it all in through the eyes of a child, and keep open to any discoveries that await you. Even in the most sprawling urban centers, change is happening and we can look forward to the return of warmth. What are the signs of spring in your neck of the world?